Makarska is the centre of the famous Makarska Riviera, extending from Brela in the west to Gradac in the east, in the total length of 60 km. The riviera is "squeezed" between Biokovo Mountain, protected as a nature park, and the sea, which at this place ranks among the clearest in the entire Mediterranean. Nice long beaches, a lot of greenery, olive-groves and pine forests at the contact point between the sea and the mountain range, cultural and historical monuments, a number of hotels, restaurants, sports and recreational facilities - all this makes Makarska a very pleasant destination. Tourism has a years-long tradition here; the first hotel was built as early as 1914, and the Society for the Beautification of the Town was founded in 1922. 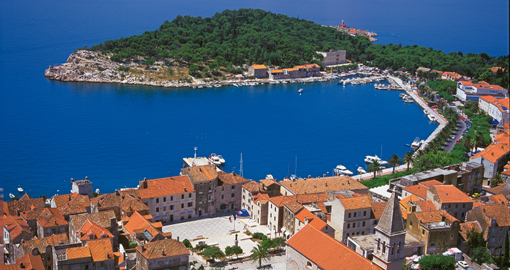 Makarska has a rich cultural and historical heritage. A special attraction is the Malacological Museum (in the Franciscan monastery) with an interesting and unique collection from the Adriatic and other seas in the world. It is considered one of the most beautiful and richest malacological museums in the world. Athletes and recreation enthusiasts may use numerous playgrounds, facilities and equipment for all kinds of sports on the ground and in the sea. The tennis camp has nine clay courts, one colour set court and two lighted indoor clay courts. This modern tennis centre, situated close to the famous beach of Makarska, is often the venue of important tennis tournaments. Makarska is also a health resort, with the well-known recreational and health centre Biokovka, which offers various therapeutic services. Very pleasant are walks along the port and public beaches, and mountain lovers may go by one of the mountain trails to the peaks of Biokovo, which offer a nice view on the surroundings, fresh air and quietness. Biokovo Mountain has very interesting geomorphological forms and endemic plant species. High game (moufflons and chamois) is amply represented here. 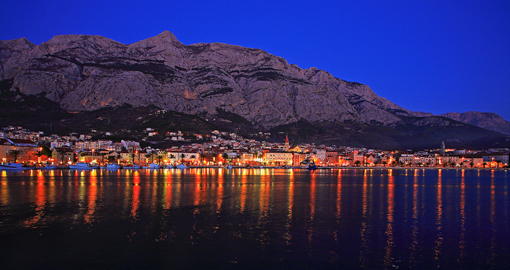 Cultural and entertainment programs are an integral part of the life of Makarska, especially during the tourist season. The traditional Makarska Cultural Summer takes place in July and August, offering a rich drama and concert program, performances of Dalmatian harmony-singing groups, art exhibitions, recitals and folk music performances. 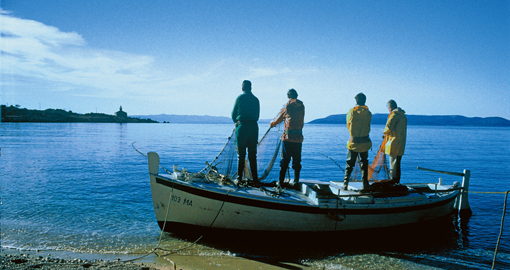 The most popular events are the Fishermen's Night and the Night of Kalelarga (night of the town). Makarska, a town, port and tourist centre in a large cove, enclosed by Cape Osejava in the south-east, and the Sveti Petar (St. Peter) Peninsula, at the foot of Biokovo, in the north-west; population 11,743. 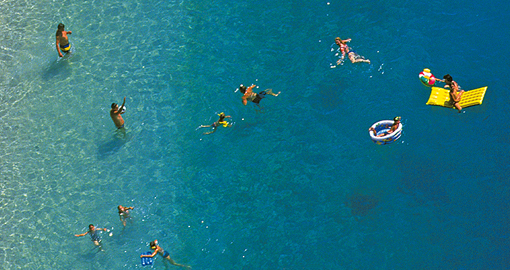 The climate is Mediterranean; the strong bora occurs in the winter months. Economy is based on farming, viniculture, growing and processing of olives, food processing, processing of synthetic materials, seafaring, fishing and tourism. 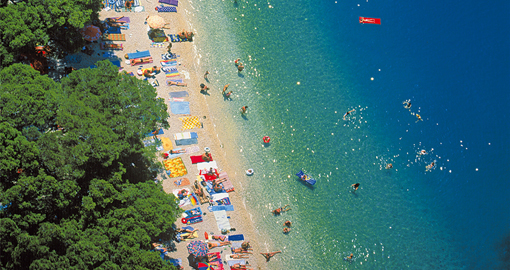 Makarska is the tourist centre of the riviera of the same name. The town developed in the form of an amphitheatre, on the coast and at the foot of Biokovo. It consists of the old town core of Mediterranean type and the new part with hotels, restaurants, shops etc. To the north-west is a nice park and a forest of pine, which encloses a 1,500-m long beach in Donja Luka. 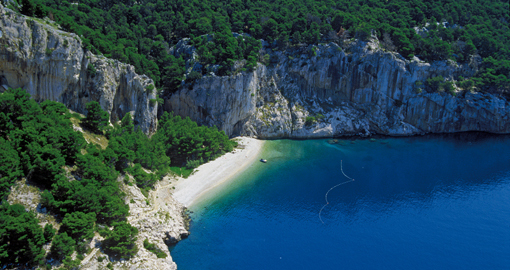 Farther of Donja Luka are numerous sand coves, separated by small limestone crests. 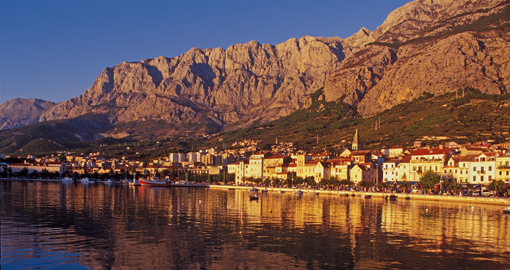 Makarska is located on the main road (M2, E65).